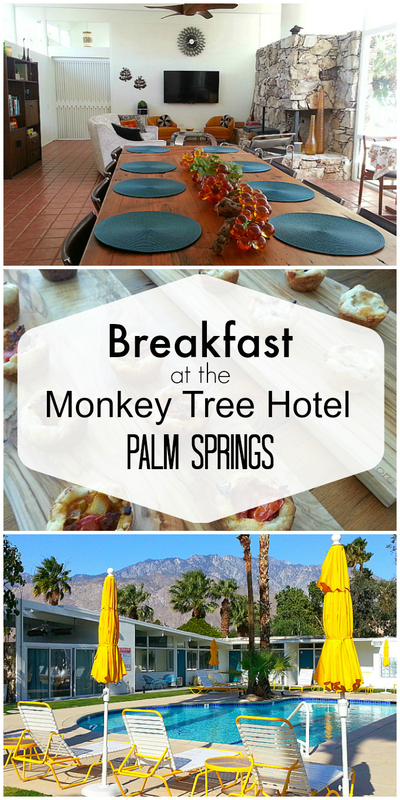 The Monkey Tree Hotel in Palm Springs just reopened this year after being restored and updated by it’s new owners, Kathy and Gary Friedle. They have retained the charm of it’s mid-century heyday and added modern conveniences. 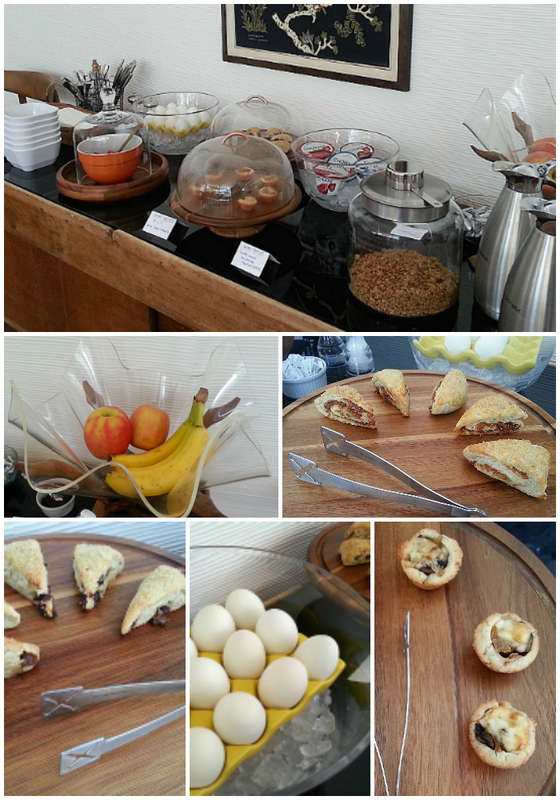 One of the perks of staying at The Monkey Tree is that breakfast is included. Gary loves to cook and bake. 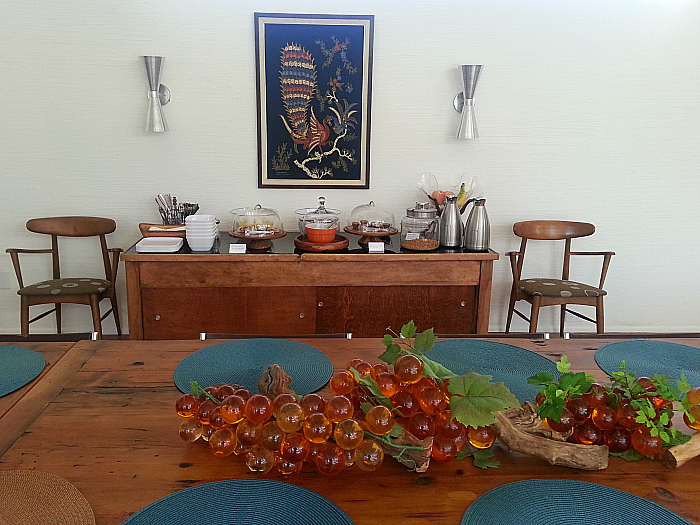 He puts together a beautiful spread for guests each morning. 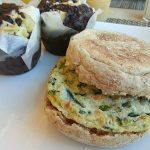 I stayed at the hotel for several days during the week and loved the breakfast choices. I’m told there is an even bigger selection on the weekends. As you can see, the breakfast room is beautiful with it’s retro furniture, decor and serving accessories. Since it’s a small hotel, Gary is able to make adjustments to the menu for those of us with food issues. Everything is labeled and I found vegetarian or vegan baked goods each day. 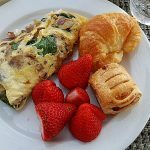 The buffet included coffee, loose leaf tea, orange juice, homemade granola, yogurt, hard boiled eggs, fresh fruit, homemade jam and baked goods (tartlets, scones or muffins). Each day there were different baked goods. 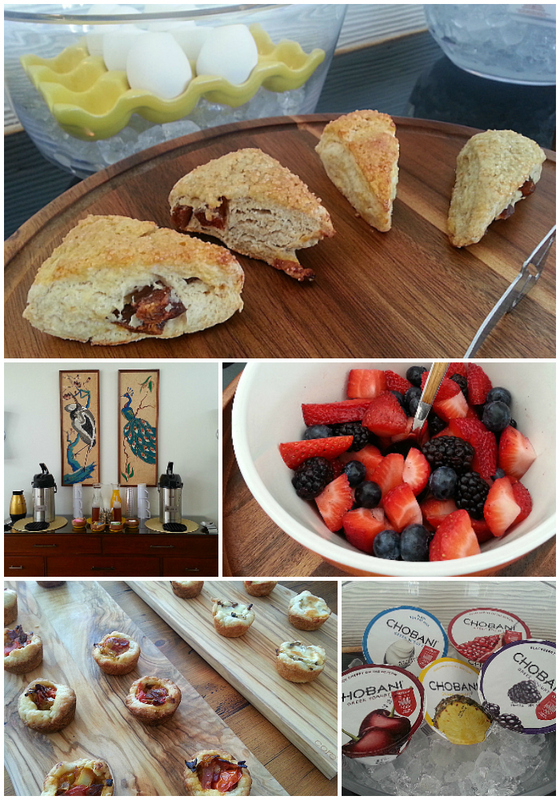 I especially liked the savory tartlets and the fig scones. 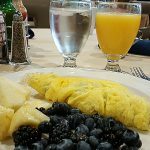 It’s so nice to have breakfast included with the hotel stay. 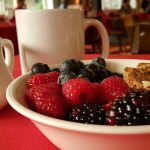 The good food is a great amenity that adds to the overall excellent experience at The Monkey Tree Hotel. Click HERE for my article about The Monkey Tree Hotel.